Originally named Karl Braun Camera-Werk when it was founded in 1915, they began by producing optical appliances and it was only much later in 1948 when the began manufacturing box film cameras for which the company was to become famous for. In 1955, under the name of Nuremberg Paximat Carl Braun Camera-Werk, the company introduced one of the first semi-automatic slide projectors with a tray magazine to the consumer market and although it was to sell many millions of units the company briefly ceased trading in 2000. Braun was later reborn and began producing digital cameras as well as slide scanners. Then in 2004, Braun changed it's name once again to what it is now known today as Braun Photo Technik GmbH. 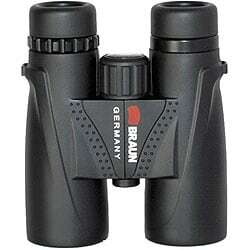 The Braun binocular range initially consisted of mostly entry level roof and porro prism binoculars. 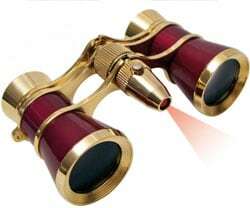 They also manufacture a small selection of traditionally styled opera binoculars (theatre glasses). This however seems to be changing with a few new lines including their Trekking and Premium Series of binoculars. The 8x42WP is currently Braun's top of the range binocular and whilst it is an entry level model it does have some really good features. It is 100% waterproof and has been nitrogen-filled to protect against fogging in changeable weather conditions. They also have fully multi coated optics and quality BaK-4 prisms, which are far better quality than the BK-7 prisms that are often used in binoculars in this price range. Twist up eyecups that are rubber coated with an impressive 17,8 mm of eye relief make them equally practical for people to use with or without eye-glasses. The large central focusing wheel takes the user from close focus to infinity in less two full turns. Tripod Adaptable - Can be mounted using standard ¼-inch threading. Binocular Tripod Adapter sold separately. The Trekking range of binoculars from Braun were released in time for the 2010 Photokina show in Cologne Germany, where they were first shown to the public. They are characterized by their sturdy and durable construction with a tough rubberized armour exterior. All binoculars in this series are 100% water proof as well as fogproof and have an ergonomic modern design. They have fully multi-coated lenses that include what Braun call their ULTRALIT ® coatings, that they say provides high transmission, color neutral and sharp images. Each binocular comes with a case, strap, cleaning cloth and an instruction manual. 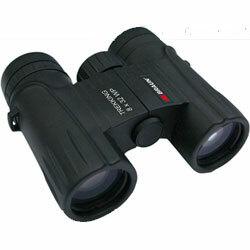 The Braun TREKKING binoculars are ideal for everyday use, travel, sports, hunting and birdwatching. Braun Opera Binoculars (Theatre Glasses). Braun manufacture three traditionally styled opera glasses that look to be the same apart from the colouring and the Gold and Burgundy model (on the right) also features a built-in light (in a soft red colour) that can be very useful in low-light situations, allowing you to search for your seat number or to softly illuminate some reading materials without disturbing your neighbour. Also included is a soft carry pouch and a cleaning cloth. All three Braun opera glasses have a list price of EUR 34.00 and I have seen it for sale in the UK on Amazon for around £34.